Arachosian Republic is a nation led by Prime Minister Alkeios Demokritus on the continent of Europe. Arachosian Republic's government is a Parliamentary Republic with very conservative social policies. Economically, Arachosian Republic favors moderate policies. The official currency of Arachosian Republic is the Ruble. At 904 days old, Arachosian Republic is an ancient nation. Arachosian Republic has a population of 1,652,085 and a land area of 15,650.00 sq. miles. This gives it a national average population density of 105.56. Pollution in the nation is evident. The citizens' faith in the government is completely depleted with an approval rating of 0%. 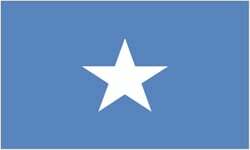 "Arachosia, land of our fathers oh land of the free, out of tribulation thy people have emerged the strongest of souls with the most massive character. God bless my country, God bless my countrymen." -Alkeios Demokritus, Prime Minister of Arachosia. 04/16 11:45 am - Arachosian Republic had war declared by The Irken Empire for the reason of "Inactive raid, PM for peace". 04/14 05:49 pm - Arachosian Republic had war declared by The Grand Old Republic for the reason of "Inactive Raid. Message me for peace.". 04/13 07:39 pm - Arachosian Republic had war declared by Italia Comunista for the reason of "Inactive raid pm for peace". 03/31 08:59 am - Arachosian Republic had war declared by Yuzu Aihara for the reason of "Lil Asset Collection UwU". 03/31 08:49 am - Arachosian Republic had war declared by Ming for the reason of "Asset collection". 03/22 01:28 pm - Arachosian Republic changed their Color Trade Bloc from Gray to Pink. 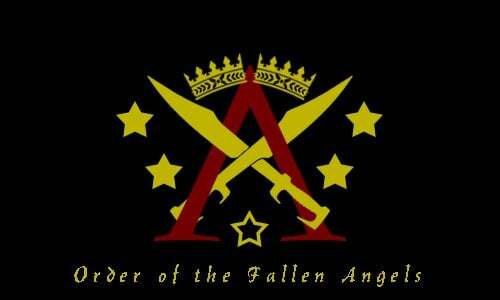 03/17 12:29 am - Arachosian Republic applied to join the alliance Order of the Fallen Angels. 03/17 12:29 am - Arachosian Republic left the alliance Egyptian Empire. 03/14 02:53 pm - Arachosian Republic had war declared by The New Communist republic for the reason of "If u come back and i still attacking u, msg me and i peace". 03/14 08:08 am - Arachosian Republic had war declared by Vanaheimr for the reason of "Get off my plane.". 03/14 08:05 am - Arachosian Republic had war declared by Old Brittannic for the reason of "We don't like you". 02/19 03:50 am - Arachosian Republic changed their Color Trade Bloc from Gray to Maroon.